Bungie Composer Says Leaving Halo Was "Kind of a Relief"
Bungie composer Marty O'Donnell says that after a decade spent writing music for the Halo games, it's actually kind of a relief to leave it all behind. The Halo franchise quite literally made Bungie into a monster. It had success with earlier titles like Marathon and Myth, but Halo: Combat Evolved is what put the studio on the map and the increasingly popular sequels, adding up to a total of five games over ten years, made it one of the most famous and well-regarded developers in the business. But it was also a big weight to carry and while nobody leaves behind that kind of legacy without mixed feelings, O'Donnell doesn't sound too upset about moving on to other things. The original, now iconic chanting that grew into the Halo theme was actually the result of a scramble to put together a tech demo that pre-dated even the Master Chief, he explained, but in spite of the rush the music was a hit with the rest of the team. "At that moment, that piece of music was for that show," he said. "It was, 'This is what Halo feels like for that show' and it was great that in the subsequent years I was able to pull themes and moods that were started right then." But there was a downside, too. "The hard part I think was we almost peaked too soon," he continued. "For me, musically, I had this great theme. The monks were the iconic thing and there was a point where I thought, 'Should I come up with a new iconic theme for each one of the games or should I just try to build on that?' That was probably the most difficult thing... it still needed to sound like Halo for each one of the Halo titles." 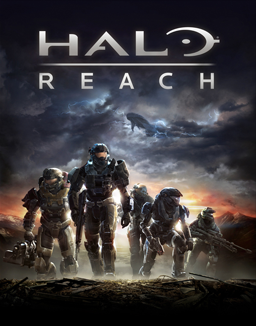 O'Donnell was able to change things up for Halo: ODST and Halo Reach because they were new stories about new characters. Still, by the time Reach was done, Bungie was ready to move on. He described the feeling as "bittersweet" but added, "It's kind of a relief because from a creative standpoint it's great to just have an absolutely blank sheet of paper, but then on the other hand blank sheets of paper are scary to creative people. I'm not saying I have writer's block, but we'll see..."
Bungie split with parent company Microsoft in 2007 and currently may or may not be working on a brand-new MMO title for Activision.